The data for this example, taken from Givens and Hoeting (2005, chap. 11, Example 11.8), contain two variables, x and y. The variable y represents noisy evaluation of an unknown smooth function at x. The data are sorted by x. 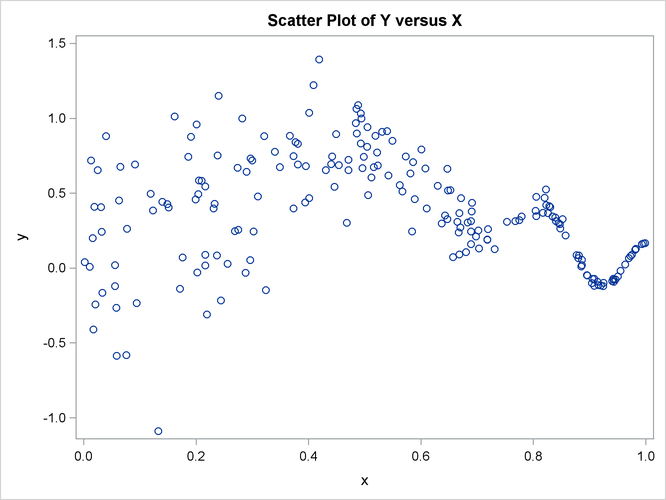 The plot clearly shows that the variance of y values varies considerably over the range of x values—the variance is larger for x values around 0.2 and gets increasingly smaller as the x values get closer to 1. Givens and Hoeting (2005) discuss the difficulties of extracting a smooth pattern from such data. 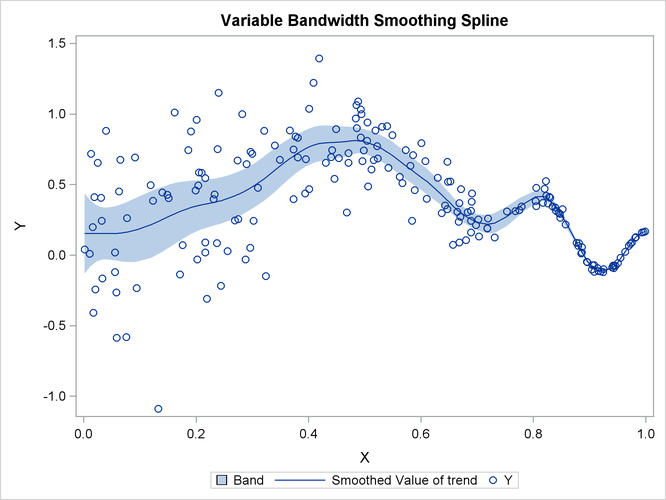 Output 27.9.2 shows the estimates of , and Output 27.9.3 shows the estimate of the disturbance variance associated with the polynomial spline trend that is specified in the TREND statement. Clearly the fitted curve tracks the data quite well. 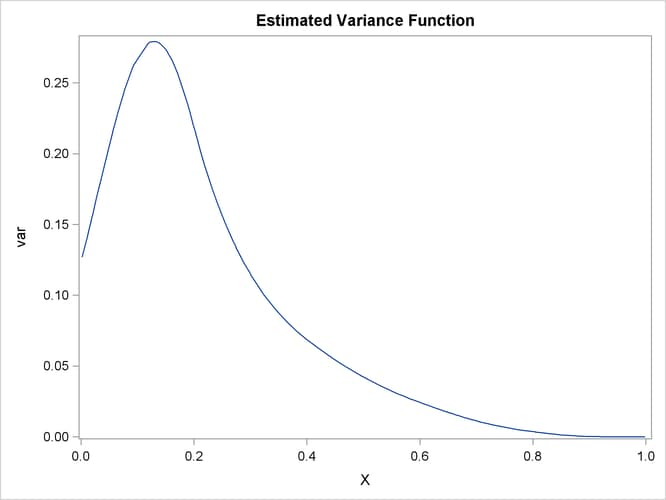 Lastly, Output 27.9.5 (produced by using the following statements) shows the estimated variance function . As expected, the curve attains its peak at an x value around 0.18 and decays to nearly 0 as x values reach 1.0.